With the number of bargain properties now on the local real estate market, you would think both investors and owner-occupants would be racing to take advantage of attractive deals.While many potential homeowners — especially first-time buyers attempting to beat the Nov. 30 deadline and take advantage of the $8,000 federal tax credit — have re-entered the market and have made compelling offers to purchase Puget Sound homes, investors have been reluctant to capitalize on reverse tax-free exchanges. Nine years ago, the federal government enhanced 1031 delayed exchanges that allow taxpayers to defer the capital gains tax on an investment property if they purchase a “replacement” investment property of equal or greater value within specific time frames. The enhancement, Internal Revenue Procedure 2000-37, permits the title to the “replacement” property to be held by an independent third party (typically a facilitator or attorney) until the “old” property sale closes. In other words, you can buy before you sell and still defer the gain. “I think the reason why reverse exchanges have not been terribly popular of late is that investors still need the cash to buy the property,” said Kelly Yates, an attorney who along with fellow attorney Dennis Helmick operate Exchange Facilitator Corp., which specializes in tax-deferred exchanges. This original concept of a 1031 delayed exchange, or Starker exchange, is named after T.J. Starker, an Oregon man who made a deal with Crown Zellerbach in 1967 to exchange some of his forested property for some suitable “like kind” future property. That agreement ended up in court. Starker’s battle was the basis for congressional approval of delayed exchanges. The clock does not start ticking on a tax-free exchange until the first property closes. Then, the seller has 45 days to identify a replacement “like-kind” property of equal or greater value and 180 days to close that second leg of the exchange. In real estate, “like kind” can apply to a variety of situations and is quite flexible. A house may be traded for an apartment building, and vacant land traded for an office building, etc. 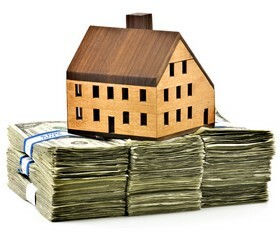 A house that is the owner’s primary residence cannot be traded for investment property. Nor do stocks, bonds, securities and similar equity investments qualify as “like kind.” Likewise, if you own land and build a structure on it with 1031 exchange funds, the IRS will probably not consider your investment an exchange. One of the more complex parts of the original regulations explains that within the 45-day period following sale of the investment property, you can identify three or more parcels of property, regardless of value, that you may wish to buy for your new investment. In other words, you can consider taking the equity from your first rental house and reinvesting it in three or more new pieces of real estate without paying taxes. However, if the number of parcels on your list exceeds three, and their combined value is greater than 200 percent of the property sold, you are required to buy 95 percent of the total sales price of the replacement properties. * Trading even or up in value. * Trading even or up in equity. * Not pocketing any cash from the first sale. * Closing the transaction within 180 days. “In this environment, investors are thinking twice about reverse exchanges because they don’t want to take on the financial risk and the business risk,” Helmick said. “They are wondering where their money would be better placed and if the property they bought for cash will retain its value or appreciate. Tom Kelly’s book “Cashing In on a Second Home in Mexico: How to Buy, Rent and Profit from Property South of the Border” was written with Mitch Creekmore, senior vice president of Houston-based Stewart International. The book is available in retail stores, on Amazon.com and on tomkelly.com. See Tom Kelly’s feature, Cashing In On Vacationers.